Over the years, many people have been shown that someday a giant earthquake will cause significant portions of California to fall into the ocean. But up until now, most scientists have disputed the idea that this could ever actually happen. Well, now all of that has changed. According to a brand new study, a megaquake along the west coast “could plunge large parts of California into the sea almost instantly”. In fact, the researchers that conducted this study say that it is almost certain to happen eventually. Of course they probably don’t believe that such an event is imminent or else they would be moving out of the state like so many other people are. Could you imagine what such a catastrophe would do to our nation and how many lives would be lost if that were to happen today? In total three quakes over the last 2,000 years on nearby faults made ground just outside Los Angeles city limits sink as much as 3ft. Today that could result in the area ending up at or below sea level, said Cal State Fullerton professor Matt Kirby, who worked with the paper´s lead author, graduate student Robert Leeper. “It’s not just a gradual sinking. This is boom — it would drop. It’s very rapid sinking,” Robert Leeper, lead author of a new study published in Nature, carried out with the help of the US Geological Survey, told the LA Times. So could a substantial portion of southern California someday actually slide into the ocean like we see in the movies? If you follow my work regularly, you know that I have warned that great natural disasters are coming to the United States, and that a California megaquake will be one of those disasters. I saw a massive earthquake that just seemed to crack off the coast of California. It reminded me of a Saltine cracker that just cracked in two! The great cities along the West coast just fell into the ocean, all the way from Mexico up to Alaska and giant waves flooded inland until much of the West Coast just wasn’t there! It had disappeared into the Pacific Ocean. 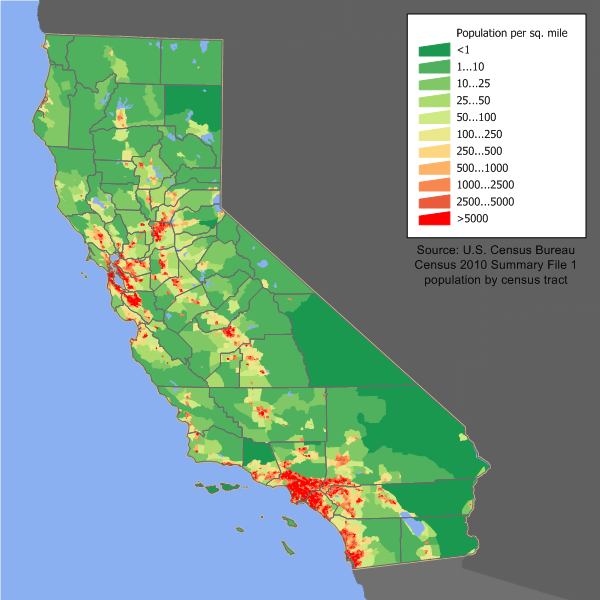 So if large sections of the California coast did end up plunging into the ocean, what would the death toll be? Would it be in the millions? And what would such a disaster mean for the rest of the country? The west coast of the United States sits along “the Ring of Fire”. Roughly encircling the Pacific Ocean, this vast seismic zone contains approximately 75 percent of the active volcanoes in the world and it produces more than 80 percent of all major earthquakes. In other words, anyone that lives near the Ring of Fire would be foolish to assume that they are immune from massive natural disasters. In 2011, a major earthquake along the Ring of Fire on the other side of the Pacific Ocean caused a massive tsunami to wash inland in Japan for many, many miles. If such a thing were to happen in Los Angeles or San Francisco, the death and destruction would be on a scale that would be absolutely unimaginable. When the big Hollywood film entitled “San Andreas” came out in 2015, a lot of people mocked the idea that the things portrayed in that film could ever happen in real life. But now scientists are telling us that a megaquake could cause large portions of California to plunge into the ocean and that it is quite likely that this will actually happen someday.